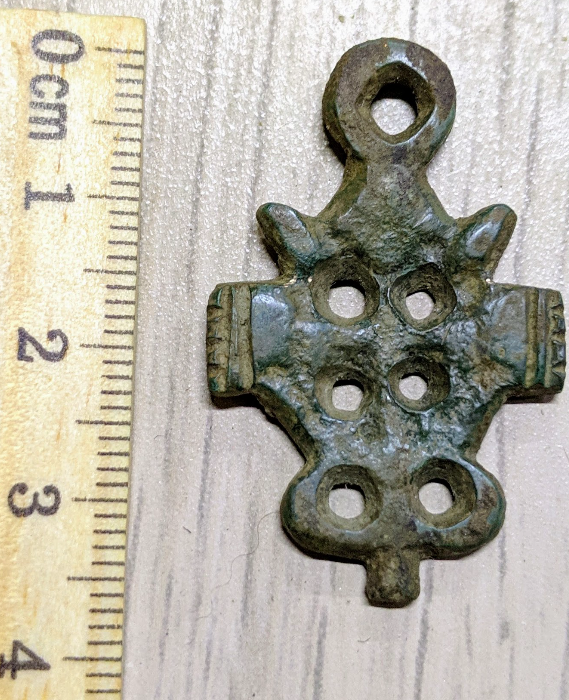 Found this in the first day of detecting this spring. 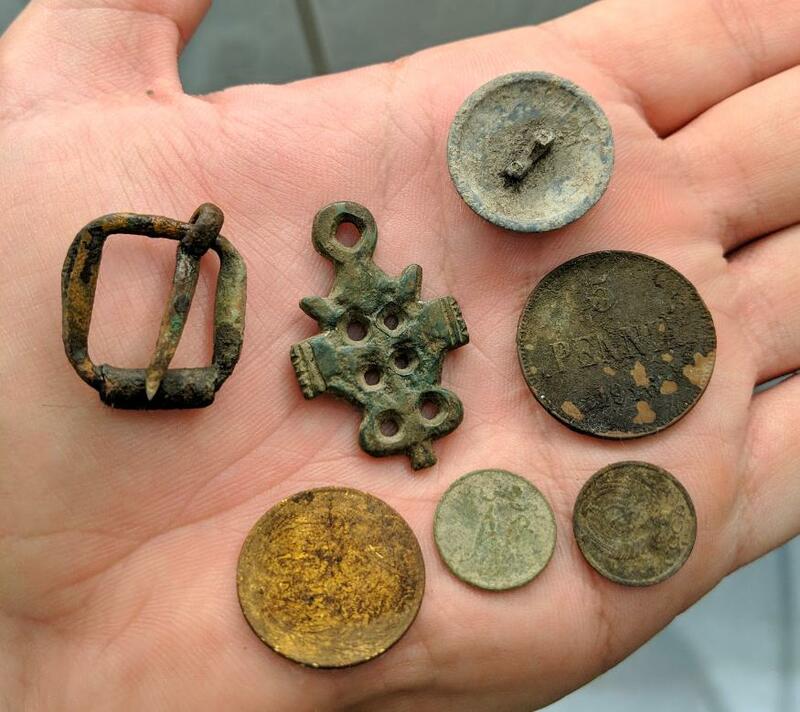 Two Soviet coins, two Finnish (1900 1 penni and 1916 5 pennia) and what looks like an old chain pendant, an intriguing find. Has anyone seen anything similar to this pendant in the center? That thing is probably "female side" from some clothes clasp and not pendant.